Super 30 Controversy Leads Anand Kumar Out of His Biopic. The Movie "Super 30" release on its schedule but You can't find Anand Kumar in it. After inspiring with the success of Super 30, Bollywood decides to make a Film out of it. Hrithik has been selected to play the lead of Super 30 director "Anand Kumar". But this year Super 30 got stuck in a controversy. The result is the movie can picturise Anand Kumar in its own Biopic. This year 26 out of 30 students qualify for IIT Jee Advance Entrance Test, as Anand Claims. However, Some students of Super 30 contradict the statement of Anand. Moreover, When the media try to contact Anand Kumar to clarify the issue, he doesn't answer the Phone call. 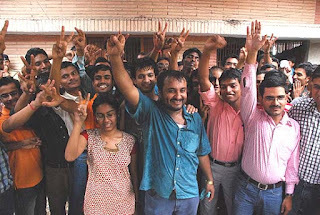 Students of Super 30 Claims that only 3 out of 30 students qualify for IIT Jee Advance Entrance Test. Looking at all these controversy Super 30 Movie officials remove all the scenes that relate with Anand Kumar. Now, this movie only shows the story of a Mathematician. Super 30 Controversy Leads Anand Kumar Out of His Biopic. The Movie "Super 30" release on its schedule but You can't find Anand Kumar in it.